Another week, another faux documentary? Whereas the import of Joaquin Phoenix’s I’m Still Here transcends its flimsy verisimilitude, the appearance and disclosure of truth lies at the heart of Catfish, one of the most buzzed-about films at this year’s Sundance Film Fest. As the story goes, in late 2007, filmmakers Ariel Schulman and Henry Joost began filming a burgeoning online relationship that Nev, their roommate and Ariel’s brother, was forging with a family in rural, upstate Michigan. Contact was initiated when Nev, also a New York photographer, received a painting of one of his published photographs in the mail from Abby, an eight-year-old child prodigy. 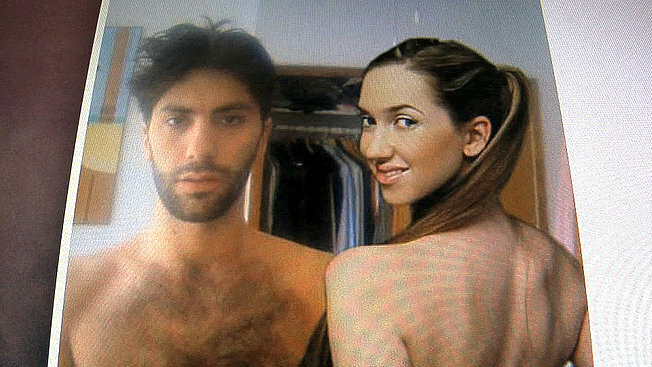 After becoming Facebook friends, Nev expands his network to include Abby’s Internet acquaintances, including her mother, Angela, and flirtations with her attractive, older sister, Megan. Months of phone calls, instant messaging, Google Street View, and more paintings eventually lead Nev and company to question the veracity their new cyber friends. Their suspicion culminates with an unannounced excursion to Michigan to meet and confront Megan and her clan. The release of Catfish is a tidy bridge connecting Phoenix’s curio and next week’s opening of The Social Network, David Fincher’s biopic about the creation of Facebook. Unlike Phoenix’s meta-performance art, I am inclined to accept the vast majority of Catfish, although certain scenes feel as though they were recreated for dramatic effect. There is also widespread controversy over the film being marketed as a thriller and/or Blair Witch-type frightener. The question is not one of authenticity or topicality. Catfish is a revealing look at the very real zeitgeist of downtrodden, criminal, bored, or just mischievous people reinventing themselves in cyberspace. Is this sort of activity is inherently wrong – as Catfish connotes – or instead a predictable, even reasonable function of the medium? What is worse: lying about whether it’s really your singing voice on an MP3 you email an Internet pal, or a supposedly sophisticated Manhattan professional trying to arrange a romantic tryst with a 19-year-old girl he’s never met? What guts Catfish is the snarky exploitation the film utilizes. So much of the film consists of three smug, coffee-shop elites gleefully deconstructing the virtual lives of their newfound friends, whose only actual objective was sending lovely free paintings to Nev and perhaps a wider Big Apple audience. As Nev and his filmmaking buddies feign victimization, they compound their self-absorption by physically intruding on the lives of their cinematic quarry. Last week, the Full Frame Documentary Film Festival invited their Twitter followers to pick up passes to an early screening of Catfish. The irony is that if this film screened at Full Frame’s annual fest, the informed crowd of documentary fans and filmmakers would utterly lambast this nebulous, nefarious product – Steve James’ Stevie was chastised several years ago for far less. There is truth swimming around Catfish. But, like various species of its aquatic namesake, the film is both bottom-feeding and parasitic.